The Midwest is famous for its violent tornadoes and superstorms. Every year, dozens of people are injured or die as a result of twisters carving up the countryside and leaving a trail of destruction in their wake. Most sensible individuals would probably avoid the region during tornado season, but if you want to experience nature at its most primal, a storm-chasing tour could be the holiday of your dreams. What Do Storm Chasers Do? Storm chasers literally chase storms. The rest of us run away if we see a Category 5 tornado touch down, whereas a storm chaser tries to get as close as possible. These men and women are experts in their field and they use their knowledge and experience of weather conditions to predict where tornadoes are likely to develop. What Can I Expect From a Storm-Chaser Tour? Storm chaser tours take place during the tornado season, which is springtime. If you decide to book a storm-chaser tour, you can look forward to an intense week or two tracking storms across the Midwest or anywhere else a major storm is predicted. Much of the time is spent on the road, but you may have some rest days to enjoy the local attractions if the weather is not cooperating. Will I Actually See a Tornado? There are never any guarantees that you will experience the power of a genuine twister on a tornado-chasing tour. However, storm-chasing guides are experienced and if there is a tornado brewing in the area, they will know about it. Whether or not you are able to get close to a tornado will depend on a number of different factors. 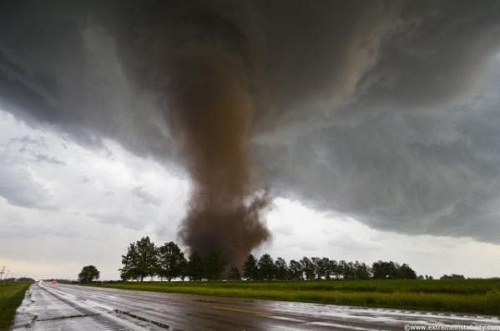 If the tornado is small and there are quality roads in the vicinity, it may be possible to get close, but if the tornado is a monster and is bearing down on the vehicle fast, your tour guide will have the sense to drive away so you can take pictures from a safe distance. What Will Be Included in the Cost of a Tour? Storm-chasing tours vary between different providers, but in most cases the cost of accommodation and transport during the tour will be included in the price. Meals, drinks and snacks are extra. If you decide to take your own food and drink, it’s a good idea to pack light, high energy items that will get you through the length of the trip, like protein bars. Mark has reviewed certain bars that are ideal for storm chasers. Due to the unpredictable nature of tornadoes and severe weather conditions, there is a certain amount of danger in storm chasing, but a reputable storm-chasing tour guide would never put anyone in danger. The greatest danger of any storm-chasing tour is spending a large amount of time on the road. Unfortunately, other drivers can be more dangerous than tornadoes and lightning strikes. 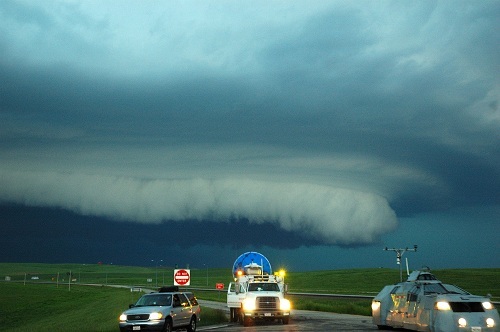 This entry was posted in Bizarre, Storm Chasing and tagged storm chasing, Storm Chasing Holidays, US. Bookmark the permalink.